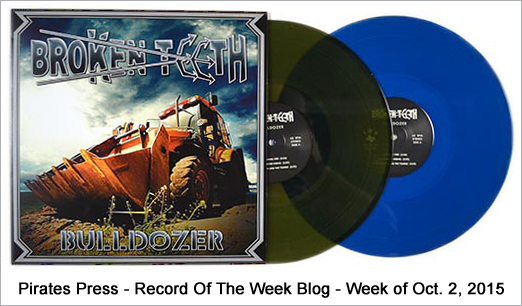 Each week the hard working guys and girls over at Pirates Press update their ‘Record Of The Week’ blog to showcase a handful of the coolest and most eye-catching records that pass through their doors. Out of the dozens of releases they process each week, it’s a huge honor that they have selected TMU RECORDS 12″ vinyl release of Broken Teeth’s ‘Bulldozer’ for inclusion on the list of hot new upcoming releases. To make the distinction even sweeter, this marks the 4th consecutive release from TMU RECORDS to be included on the weekly list. Cheers Pirates! Head over to the Pirates Press ‘Record Of The Week’ blog to check it out!